Exercising often falls to the bottom of your list of priorities, especially if you’re a budding entrepreneur! But don’t worry, you are not the only one. Everyday, you challenge yourself to get back in shape by joining a gym, dieting or exercising. But, some important meeting or urgent assignment comes along and you miss your exercise routine. Before you know it, years have passed and your doctor appointments have become more frequent than before. You must have heard it a million times before but exercises will help you in more ways than one. You need to take out some time everyday to follow these 5 simple exercises that will give you great results, keep you physically fit and improve your mental health as well. Here are some simple exercises that will help you gain the benefits of a regular exercise without interrupting your busy schedule. If you are not taking out enough time to run, you are doing yourself wrong. Studies have shown that aerobic exercises might be the most beneficial for brain health. Your brain loves running, cycling and it is able to think well, when you engage in these activities. Running along long tracks will give you time and space to think and explore your thoughts. Running is a good way to escape your busy schedules and free your mind from the chaotic and nosy environment. Also, it is important to remember that you don’t need to be a marathon runner; moderate running is actually healthier than running long distances. When stuck in crazy deadlines and projects, work hours creep into your sleep time and there you are pulling a 12 hour shift. The last thing you want to do is come home, change and workout. And that’s when you turn to burpees. Do four sets of 25 and you’re ready to conquer your day within 15-20 minutes. Burpees increases strength, stamina which will boost your day and push you harder to meet those deadlines and ace your presentation. If you haven’t been stretching, it’s time to start. Stretching isn’t all about bending over and touching your toes for a minute. It’s time to incorporate a short stretching routine in your lifestyle. It’ll help you deal with the stress that comes along with being an entrepreneur. Stress restricts blood flow, causing tension in your muscles and lower back. So, free thse muscles that store tension by stretching your lower back, shoulders and neck. Which is why, yoga is such a popular form of exercise. The standard push up activates nearly every muscle in your body. This will benefit you greatly resulting in toned muscles and increased strength. If you’re not convinced about incorporating a push up routine into your exercise program, continue reading the blog to uncover the real benefits of these exercises in your routine. Fartlek running involves varying your pace throughout your run, alternating between fast segments and slow jogs. Fartleks are far more unstructured in comparison to traditional interval training programs. Work-rest intervals can be based on how your body feels. Fartlek training puts a little extra stress on your system, which will eventually lead to faster speeds and greater thresholds. It is difficult to adapt to a lifestyle that caters to your health needs along with your ambitions and dreams. But focusing on these exercises will definitely benefit your entrepreneurial lifestyle and give you the motivation and jumpstart you need. So, set that alarm off and kickstart your day in the most refreshing manner possible! Productivity is never an accident. It is always the result of a commitment to excellence and focused effort. Check out Awfis co-working spaces in Koramangla, Bengaluru or business centres in Powai for an environment that motivates you to be productive. Follow us on Facebook, Twitter, Instagram and LinkedIn. Agile Versus Activity Based Working: Which One Will You Choose? The way the modern world is shaping up is also deciding the way we work. Many organisations have come to realise the importance of, and the need for, flexibility in the workplace. Employers who allow their people to choose how they work are seeing the immense benefits this approach has on the individual as well as on the organisation as a whole. Two such increasingly popular ways are Agile Working and Activity Based Working. Despite the two being different, they are often mistaken to be one, or people use the terms interchangeably. So, what are the two and how are they different from each other? This approach gives employees maximum flexibility in choosing how they want to work. Employees are free to work from home, or from office, or figure out a combination of both. At work too, employees can choose whether they want to work from their fixed desk, or want to shift to a standing desk or work from a non-traditional space, such as the common breakout area. The idea is to embrace openness and flexibility. Also called ‘smart working’, this allows employees to make the most of smart technology and cloud-based applications. By adopting this autonomous work culture, companies can attract and retain the best talent. Like Agile Working, Activity Based Working also focuses on giving employees the freedom to choose how they work. However, that’s where the similarity ends. Where Agile Working is about the contribution of an individual employee, Activity Based Working takes into consideration teamwork and group culture. Here a lot of importance is given to changing workplace culture and design to suit team connections and to foster collaboration. This approach works best around an open-plan office, with a healthy mix of quiet corners, collaboration booths, meeting rooms as well as huddle spaces. Businesses that have adopted the Activity Based Working approach notice improved levels of productivity as individuals can choose to work in workspaces that are best suited to the task at hand. Both, Agile Working and Activity Based Working will give your business a competitive advantage. It is simply a matter of understanding which approach works best, or whether a combination gives your employees a chance to perform at the peak of their potential. What Are The Factors That Enable A Flexible Work Environment? The way we work is changing, and businesses have to revolutionise how they manage the workplace and their talent to create a positive environment for all to collaborate in. How do employees want to work? Do they want the privacy of cubicles where they can work without the fear of interruption and disturbances? Or do they prefer open plans which remove all obstacles to collaboration and foster innovation at a wholly new level? How about a mix of both? Take this workplace experiment carried out by advertising genius, Jay Chiat, who declared that his office was gong the ‘virtual’ way. Mind you, this was somewhere in 1993, long before words like flexi-hours or ‘work from home’ had entered our workspaces. In his experiment, he decided to abolish cubicles and dedicated desks. Only open space and freedom. Unfortunately, this radical idea bombed. His workers rebelled, and he had to redo the office design. Yes, his people wanted freedom but not at the expense of losing their privacy entirely. What he needed was flexible working, an idea that was to catch on many years later, now. Are you looking for ways to incorporate flexible working in your workplace? How do you make it work? By addressing these needs. As long as the output aligns with the final goal of the company, it does not matter how your employees work. Do not force them to do it ‘your’ way, but rather give them the space and freedom to achieve their goals in the way they deem most convenient. This distribution of power is what constitutes a truly flexible workplace. When you let go of control, you will see an immediate shift in the way work gets done. It tells your employees that you trust them, which, in turn, empowers them to perform better. A business looking to create a healthy work environment has to understand that every individual performs their best work in their own ways. And for this, businesses must support the employee’s method with the right tools. About 25 years ago, around the same time that Jay Chiat had tried his virtual office experiment, Erik Eldhoen, a consultant, coined the term Activity Based Working (ABW). According to this concept, work is an activity rather than a place to go to. And for that to work, workspace should be malleable. Employees should be able to mould and shift their work environments as per their mood, personality or type on work on hand. This is possible only if they have the right tools and technology that allow constant changes or movement. Surprisingly not many businesses, even those that claim to be flexible, are providing that. Did you know that even today fixed technology outnumbers mobile technology by 2:1? 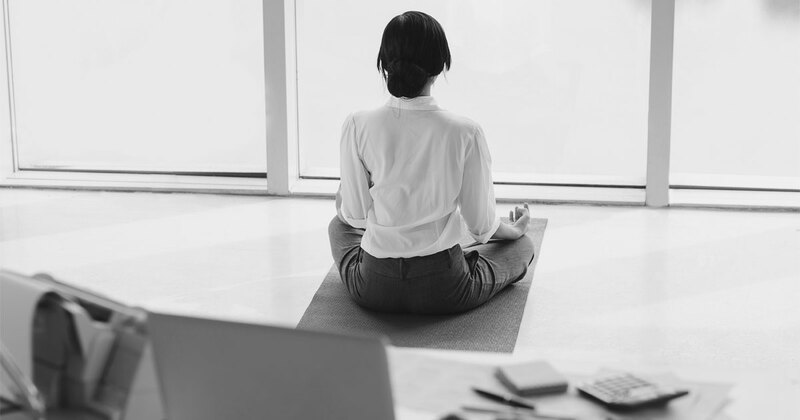 This means that not every employee can take a business call while walking in the garden or concentrate on a project in silence, away from the daily bustle of the office. By being able to move away from a traditional fixed-desk set-up and giving workers a chance to get the best of both worlds in their workspace, businesses can not only boost creativity but foster unexpected collaborations too. Employees look for a nourishing place where they can achieve their goals, in peace and quiet. As a business, it is your responsibility to create such an environment. It might shock you to learn that on average, a worker is interrupted every 11 minutes, and that it takes 23 minutes to be able to get back to the task at hand. Your workspace, whether it has cubicles or open spaces, needs to contain quiet private corners for employees to work from. There are some businesses that have not yet touched flexible working because they have an unfounded fear of losing control and encouraging chaos. To them we say, done right, a truly flexible work environment will in fact a foster innovation. Those workplaces that combine the design of space and the right technology are today a creative worker’s destination of choice. Work-life balance is a thing of the past now; people are looking for work-life integration. And people who are in the business of workspaces, like coworking spaces and business centres, have recognised this need and cater to it. 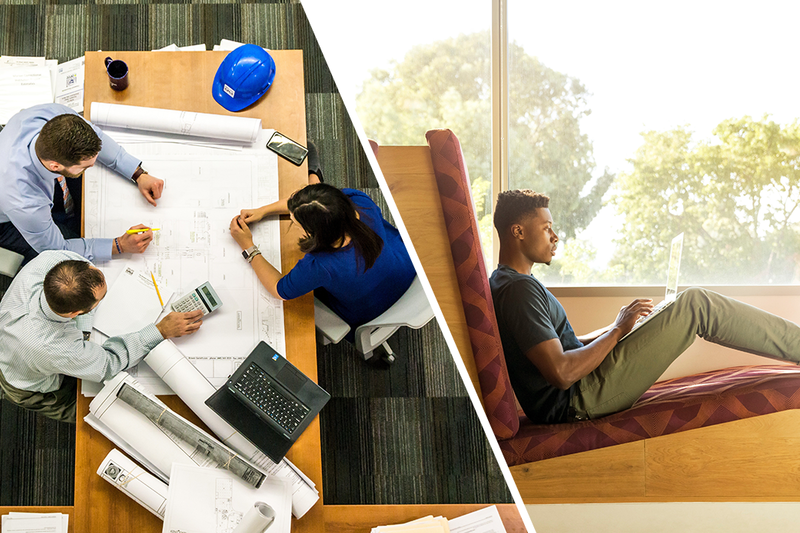 From private cabins, to flexible desks; from open collaboration zones to sound-proof meeting pods and phone booths; there’s a space for every type of work style. It doesn’t matter what kind of a job you do; whether you work full-time or part-time, or even whether you run your own business or are employed in a company. If you are working, then you need to take a break. But therein lies the problem. Do you believe that taking regular breaks will make you seem less serious about your job? Do you think that you will miss out on what’s happening at work? Or, and this is the biggest pain point, does the thought of the backlog that will be waiting to scare you from taking a well-deserved vacation? The truth is that when you spend 1/3 of your life, about 90,000 waking hours, working, you need to take a break. All that accumulated leave that you are so proud of needs to be used up and not encashed at the end of the year. If you think that your manager will be pleased to have a workhorse on the team, think again. She probably knows that a vacation is actually a great way to increase productivity and creativity. Don’t believe it just because we say so. 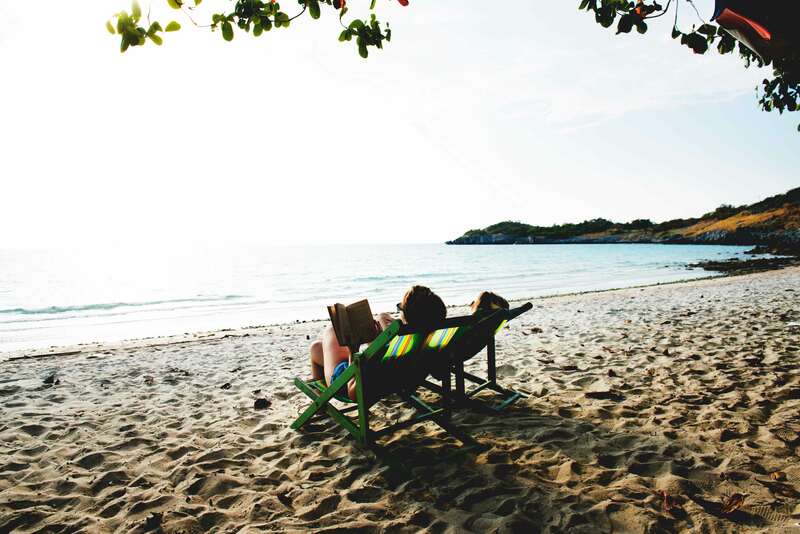 Let’s look at the science behind why taking a vacation can help you get ahead at work. What do you do when you’re on a vacation? No, we don’t mean spending hours on the phone or on the laptop checking emails. Vacation time means lounging by the beach or the pool or just walking down narrow streets lined with trees. And as your feet wander, so does your mind. Away from the tunnel vision of daily work, wandering gives your subconscious mind a chance to take charge for once. Daydreaming, it has been shown, uses the complex parts of your brain, those that are associated with problem solving. So when you give your mind a break from work, you can actually think clearer and find creative answers to problems that have been on your mind all along. It doesn’t take a genius to know that a happy person is a more productive person. Make that a happy and relaxed person. And going on vacation allows you to become just that. The mere fact that you are on a break from work and the humdrum routine of office, raises your happiness levels. You are less stressed, more creative, healthier, more productive and, as a result, also likely to rise up faster in your profession. Do something nice for yourself for a change; take that break. Stepping away from work and office could undoubtedly make you better at work. It gives you a change in perspective. You could meet someone interesting and suddenly view the world or your job from a new angle. A break gives you a chance to recharge your batteries – emotional, mental and physical. The renewed energy is infectious and your entire team’s performance can go up. Travel can expand your mind and help you push boundaries that you never even knew existed. When you travel, especially to a new place, you will find yourself looking at things differently. Besides improving your performance, a holiday can make you a better leader. The travel experience will open up the world to you in ways not possible within the confines of an office. You could develop (or improve) your communication and teamwork skills. Travel will teach you about different cultures, a crucial asset for any business leader in this global economy. When you visit a new place, when you step outside your comfort zone, you can reach levels of creativity that you never tapped before. Your decision making, time management and problem solving skills will be tested. Travel is a good teacher who can show you how to adapt to a new place and how to deal with stressful situations beyond your control. And as a strong leader, polishing these skills could help you challenge the status quo and bring about a change, not just in yourself, but in the way you are perceived at work. No one can be 100% creative, 100% of the time. Not 24 hours, all 7 days of the week. If you find yourself getting stuck in a rut, the best thing to do is to take some time off. There are some people who take off for months every year just to recharge themselves, but that isn’t possible for the rest of us. However, even a short break can help get those creative juices flowing right away. Convinced yet? Although it might be difficult to find the numbers that can substantiate the correlation between taking time off and increased productivity, we all know that we are not doing our best when we are exhausted, physically or mentally. We’ve said this before, and we will say it again. Do something nice for yourself and your work today; take a vacation.